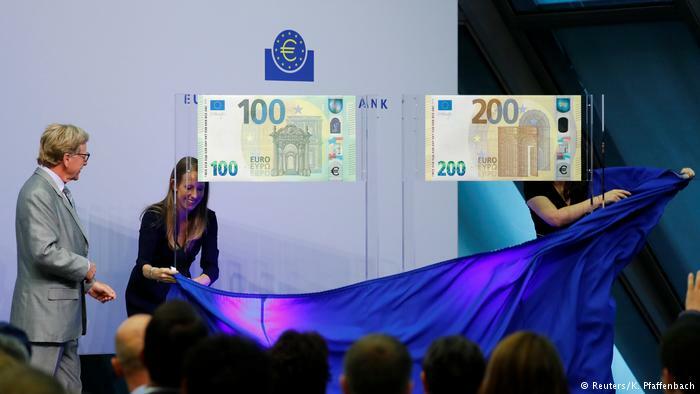 The design for the new €100 and €200 bank notes has been unveiled, ahead of entering circulation in May next year. 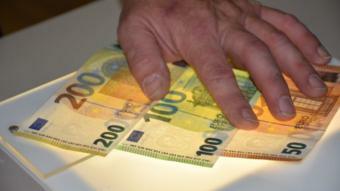 Both notes have new security features which are aimed at making them more difficult to counterfeit. The new notes are smaller than the current versions, meaning they will fit better into people's wallets, the European Central Bank (ECB) said. The size meant the notes would also be handled easier by machines and subject to less wear and tear, it said. The two notes are the last in the Europa series, which feature an image of the mythological Greek figure of that name. 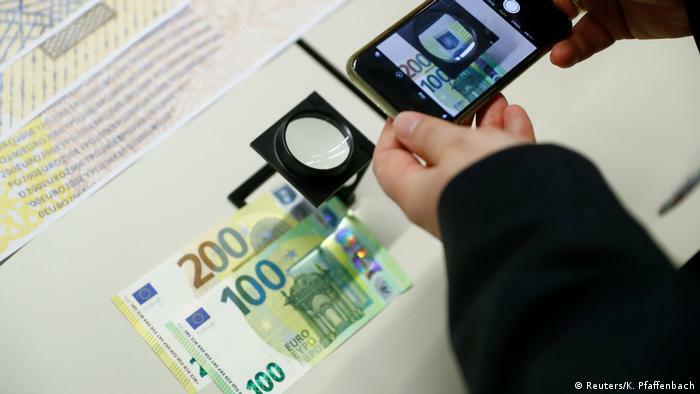 ECB executive board member Yves Mersch said that more than a million cash machines would have to be adapted before the new notes go into circulation on 28 May in the 19 countries that use the shared currency. The new notes are printed on pure cotton fibre paper and unlike the new Bank of England polymer notes do not contain traces of animal products.